Outright speed records on land and water have always attracted my attention, the fantastic 'futuristic' looking machinery and the incredible bravery of the people constantly striving to break down barriers and develop new technologies is amazing. The years 2011~2012 promise to be potentially the greatest years ever for Land Speed Record attempts as various teams strive to break the 1,609kmh (1,000mph) barrier. Wow, I had read so much about Bonneville, to actually drive onto the Salt Lake and meet so many great people and check out the marvellous machinery, just tremendous. The 'clickable' image depicts one of the popular Hot Rods on the Salt Flats. 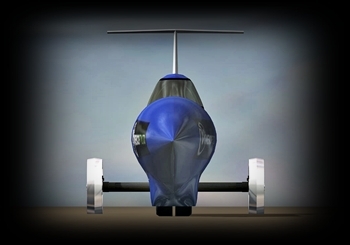 Budgetary constraints cannot hinder the determination of Australian land speed record holder Rosco McGlashan OAM and his team, striving to be the first to break the 1,000mph on land. Aussie Invader is taking shape in Perth, Australia. The 'clickable' image depicts a frontal view of the Aussie Invader 5R. The Bloodhound SSC Team's stated mission: 'To confront and overcome the impossible using science, technology, engineering and mathematics. To inspire the next generation to deal with global 21st century challenges' and what a Team they have. Richard Noble as Project Director and RAF Wing Commander and 'current outright land speed record holder' Andy Green head the team. 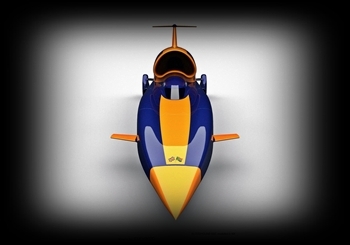 The 'clickable' image depicts a frontal view of the Bloodhound SSC. Probably the most famous family and vehicle lineage would have to be Malcolm and Donald Campbell and their famous Bluebird's. 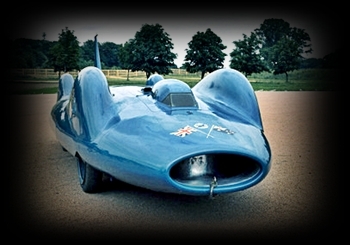 The 'clickable' image depicts the Bluebird CN7 record breaking car of 1962. Built and driven by American Art Arfons, the 'Green Monster' was a three time world land speed record holder. Arfons set his final land speed record in the car at 576.553mph on November 7, 1965. The vehicles propulsion system relied on a B-58 Hustler Bomber jet engine. The 'clickable' image depicts the 'Green Monster' at the Petersen Museum, LA, USA. I am collecting stories and imagery from various lesser known record breaking vehicles. The 'clickable' image depicts the "BEAST" III Streamliner at the Petersen Museum, LA, USA.